My mother was the family historian. She passed on many stories to us and it was her wish that they wouldn’t be forgotten. To corroborate the oral history, I started doing some research and enriched my understanding of my grandparents and great grandparent’s lives. 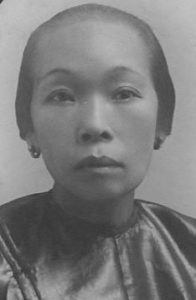 Lum Ah Chew was my mother’s grandfather. 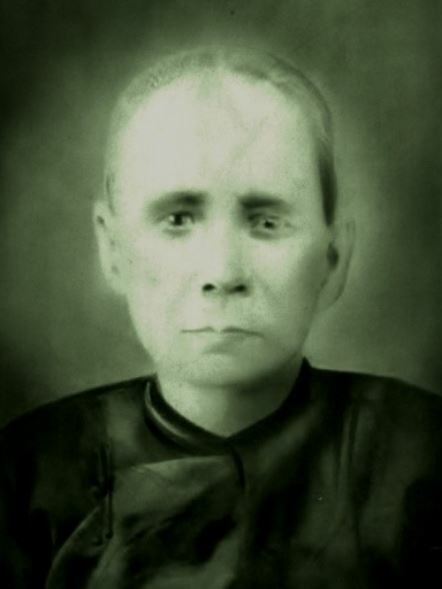 My great grandfather Lum Chew was always known as Ah Chew in this country. So the family, since our grandfather’s time has used Chew instead of Lum as the family name. He was born in 1840 and left his village Shar Peng Har in Chung Shan (now called Zhongshan), Lung Du , Guangdong Province, and arrived in California in 1860 when he was about 19 years old. He left a homeland which had been engulfed in decades of turmoil—two Opium Wars, the Taiping Rebellion, severe droughts, and numerous clan wars had devastated the countryside, giving impetus to migration. The immigrants came to California by paying their own way or borrowed the necessary funding under the credit ticket system, which covered the cost of transportation and then paid off the loan, plus interest, out of their earnings. Ah Chew probably used this system as he appeared in the 1860 census as a laborer in SF. According to our family’s oral history, he was a miner in the gold fields and worked on the building of the railroad. By 1866 he was listed in the Central Pacific Railroad payroll ledgers showing that he worked as a cook and a waiter. The Summit camp where he was based was where the work of tunneling through the granite was done. The winter of 1866-1867 was one of the most severe winters in CA and workers were killed in avalanches, their bodies not uncovered until spring. The pay scale for Chinese was less than that for European workers. Jobs ranged from laborers, cooks, and waiters to blacksmiths and drivers. The Chinese worked in crews with a Chinese foreman who handled the pay, bought supplies, and insured that there was a Chinese cook and sometimes an herbalist with each crew. The individuals in each crew were not listed. However, a separate listing such as Ah Chew’s might mean that he was a cook for one of the white supervisors. After his stint on the railroad Ah Chew ended up in the Sacramento Delta working on land reclamation– building the levees and as a farm hand. The Central Valley in the mid-1860’s and 1870’s was a huge flood plain and while land reclamation had been started in the late 1850s, it was not until Chinese labor built levees to channel the water and planted virgin land that the Delta would develop into one of the richest agricultural areas in CA. The 1870 federal census lists him as a farm worker on the Solomon Runyon ranch noting that he could speak English. This era was extremely difficult for Chinese in California. The rampant racism, hostility and anti-immigrant attitudes towards the Chinese often resulted in violent assaults by white mobs on their homes and businesses. Many were murdered or driven out at gunpoint. The Sacramento Delta fared somewhat better because the area was relatively remote, only accessible by boat, and because of the symbiotic relationship between the white landowners and the Chinese. The Chinese were the main labor force and tenant farmers. Without the Chinese expertise, crops were at risk. Nevertheless, they were not immune. Several waves of anti-Chinese campaigns throughout the 1880’s and 90’s included boycotts of white employers of Chinese and products made or cultivated by Chinese. Of the many Chinese farming communities, only the ones in the Sacramento-San Joaquin Delta survived into the 1900’s. In 1882 the Chinese Exclusion Act was passed, preventing the immigration of Chinese laborers. Exempt from the Act were merchants, students, teachers, diplomats, and their families and household staff. The Chinese were an insular community and many traditions from China still held sway, for example arranged marriages. Most Chinese didn’t speak English and they built their own institutions to meet their community’s needs. The Delta Chinatowns were close knit, organized along village and clan lines. The Chung Shan people congregated in Courtland. It was mainly a “bachelor” society because of the Chinese Exclusion Act and California’s anti-miscegenation laws. The 1900 federal census lists Ah Chew’s household, one of only six families out of a Chinese population of 400 in the Courtland area. His occupation was fruit grower and besides his family, he employed ten workers–five fruit packers and five farm laborers. He became a foreman and a tenant farmer for the Deming family. The Demings were on very good terms with him and they had a verbal agreement that the family could live on the ranch as long as the Demings were alive. Ah Chew married my great grandmother in 1881. Her maiden name was Low Sam. She was born in 1863 in Sun Village, Chung Shan, and came to CA as a servant girl in 1877 when she was 14. They had three sons and a daughter. Their daughter died at age four. Low Sam, according to my mother, was quite a formidable woman. She was barely five feet tall but ran the household. She was mid-wife at the births of some of her grandchildren and often took the steamboat from Courtland to San Francisco to shop, sometimes taking my mother with her. They boarded the boat at night, slept on board and arrived in San Francisco in the morning. After she was widowed she made two trips to China to arrange marriages for her two younger sons. There were very few Chinese women in CA in the 19th century for several reasons. The men left their villages expecting to return to China after they made their fortunes and women generally were expected to stay home. Of course, there were some women who came. They were wives of merchants and women who had been coerced into prostitution. The Chinese Exclusion Act of 1882, not repealed until 1943, required that all Chinese, whether born in the U.S. or in China who were residing in the U.S., had to register and carry identification papers at all times. Low Sam registered in Sacramento on May 3, 1884 and was given resident #131586. Low Sam stated to immigration officials that she owned two houses and leased 93 acres of farm land being worked by her sons as the reason she wished to return to the U.S. While she was in China she had three houses built in the village, one for each son. They are still standing today. 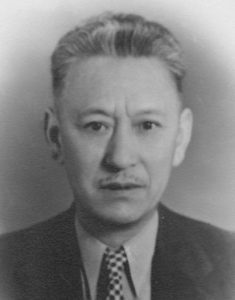 Lum Ah Chew was a respected member of the delta farming community for over forty years although he did get caught selling bootleg liquor without a license. He and his three cohorts had to buy a license and pay a fine. He was an early supporter of the movement led by Sun Yat-Sen to overthrow the Qing dynasty. Dr. Sun visited Courtland because his secretary lived there while they were both in exile. My great grandfather hosted Dr. Sun when he visited. Lum Ah Chew died in 1906, at age 64, and Low Sam died in 1928 at age 65. Lum Ah Chew and Low Sam’s oldest son Chauncey Lum Chew was my grandfather. He was named Chauncey by Ms. Deming who sent him to St. Joseph’s Academy in Rio Vista for a formal education. This was very unusual for the time because most Chinese weren’t allowed to attend school. Because he was a fluent English speaker, he became a spokesman for the Chinese to the English-speaking community. Chauncey was quite an entrepreneur. He farmed pioneering crops like onions and potatoes on virgin delta land. He invested in modern machinery like tractors, became a labor contractor, opened a general store, invested in restaurants and gambling houses, and ran a jitney service from the river towns to San Francisco. He was considered very “modern.” He drove a new car every year and sent his oldest son and daughter to be educated at U.C. Berkeley. He also started a Chinese School in Courtland and continued his father’s support of Dr. Sun Yat-Sen’s movement to establish a democratic China. Since Dr. Sun was from the Chung Shan area and Courtland residents were also from Chung Shan there was strong interest from the community regarding the events in China. 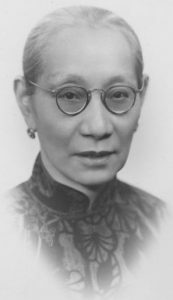 In 1910 Chauncey was a member of the executive committee of the Courtland branch of the North America Young China Association. Dr. Sun asked Chauncey to be a purchasing agent to buy airplanes for the new republic’s air force. The planes purchased were left over from World War I. Chauncey arranged for the pilots to be trained on a treeless field on his farm. Besides flying, they learned to repair and dissemble/assemble them. Unfortunately, the barn where the planes were stored was destroyed in an arson fire before the planes could be shipped to China. After Dr. Sun’s death, Chauncey continued to support the movement, raising funds for the war against the Japanese. Many of the Chinese Americans who trained as pilots and mechanics on the farm later served in China in the war against Japan. My grandmother, Susan Chuck, and Chauncey were married in 1903—a marriage arranged by her father. She was born in San Francisco in 1884. In the 1880’s there were fewer than 5,000 Chinese women among 100,000 men in the United States. She and her sisters must have been very precious. Her father, Chuck Fook, came to CA in 1859. He owned a mining store in the gold country but according to family lore, he was driven out after his store was dynamited. He relocated to San Francisco, married in 1874, and was listed in the 1900 census as a meat dealer. The family lived on Dupont St., now known as Grant Ave. My grandmother’s certificate of residence (# 62450) was issued March 10, 1894 when she was eleven years old. She had two brothers and was the oldest of four sisters. Susan Chuck and Chauncey were married in San Francisco and arrived at Willow Slough in the Sacramento Delta. Afraid of Chinese highbinders (ruffians who kidnapped women in rural areas), they were escorted to their home by my grandfather’s brother, a Caucasian friend and a deputy constable. When the tong wars erupted in San Francisco and spilled over to the Delta, my grandmother’s younger brother was hidden in the family home although he belonged to a rival tong. He was a colorful guy as he was a gambler and had a “ladies of the night” business which he conducted in a refurbished funeral hearse. My uncle recalled that he kept fresh flowers in the vase of his brothel on wheels. During her marriage, my grandmother raised eight children, cooked three meals a day for 15-20 farm hands during harvest season, as well as overseeing the gambling houses. Our ancestors are buried at Franklin Cemetery, about 20 miles south of Sacramento. We gather there every year at Ching Ming to remember them. Paulette Liang lived in Courtland during her early childhood years and remembers the Delta fondly. Retired from teaching, she is involved with various art projects. She resides in San Francisco with her husband, children, and grandchildren.